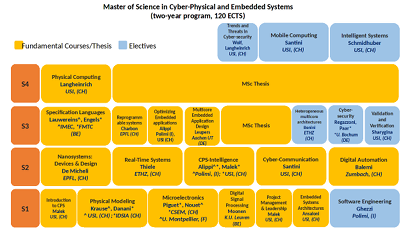 The study program of the Master of Science in Cyber-Physical and Embedded Systems consists of four full-time study semesters (120 ECTS over two years). The thesis starts during the third semester and completes by the end of the fourth. Each individual student is assisted in tailoring the teaching plan to his/her previous competences and specific interests. 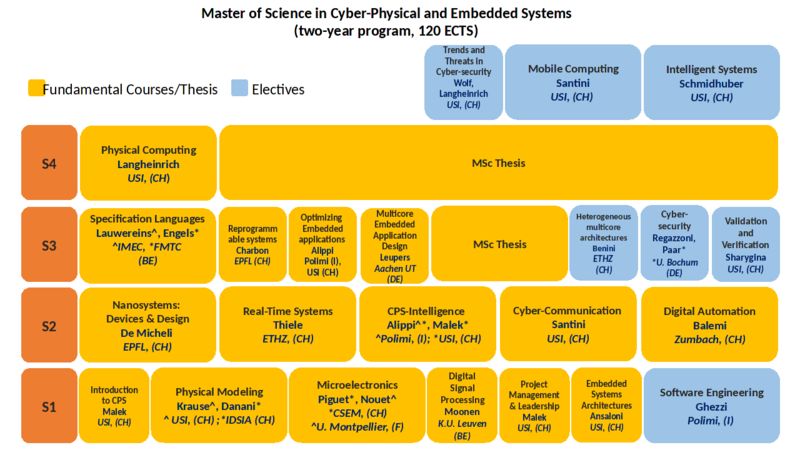 To broaden the student’s perspective, up to 18 ECTS can be obtained with elective courses chosen from the program.